The Democratic congresswoman will talk about her work in Congress and take questions. Included in U.S. Rep. Suzanne Bonamici's scheduled swing through Oregon's First Congressional District in the latter half of September is a Saturday morning, Sept. 22, town hall meeting in Banks. Bonamici, who has represented northwestern Oregon in the U.S. House of Representatives since 2012, will spend an hour talking to residents and fielding questions from the public in the training room of the Banks Fire Station, located at 300 S. Main St. in Banks. "This is a pivotal time in our country on many issues, so it is important for people to participate in our democracy and make their voices heard," Bonamici said in a statement from her office. "Town hall meetings allow me to meet with constituents in person so I can hear what matters most to them and address their needs in Congress." She added, "In recent months, many Oregonians have contacted me about pressing issues that I look forward to discussing. These include health care, protecting the environment, immigration, and holding the Trump administration accountable." Bonamici, a Beaverton Democrat, has been a regular critic of President Donald Trump and members of his administration, as has much of Oregon's congressional delegation — which includes just one Republican, U.S. Rep. Greg Walden of Hood River, who represents Eastern Oregon, parts of Southern Oregon and much of the Columbia River Gorge. The Sept. 22 town hall meeting in Banks is scheduled to run from 11 a.m. to noon. 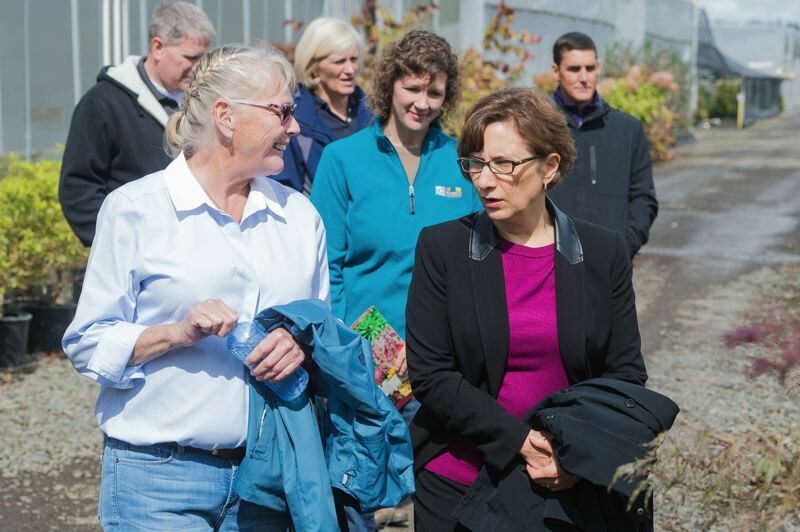 During her series of town hall meetings scheduled throughout her district, Bonamici will also visit Seaside this Saturday, Sept. 15; Tualatin next Monday, Sept. 17; Newberg next Thursday, Sept. 20; Scappoose at 2 p.m. Saturday, Sept. 22; and Northwest Portland on Monday, Sept. 24. A full list of upcoming events is available on Bonamici's congressional website. Bonamici is running for re-election this fall. She is favored in her race against John Verbeek of Portland, a perennial candidate who is the Republican nominee in the First Congressional District.